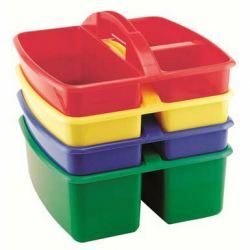 Set of 4 Art Caddy with 3 compartments. One of each colour: blue, red, green, and yellow. Caddy measures 9"x8.5"x5.25"